First collected in 1896 in East Lansing, Ingham Co., where apparently introduced with grass seed from France (according to labels); still a quite scarce weed of disturbed, dry open ground. 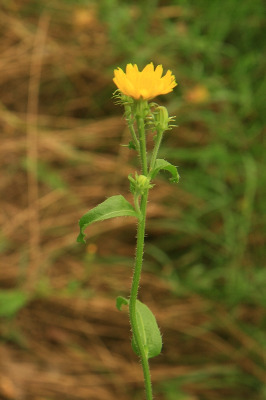 This is a yellow-flowered Eurasian weed, even more sparing in occurrence than Hypochaeris and Leontodon, and differing most conspicuously in having leafy stems. The heads close when the flowers are finishing, but remain conspicuous because the underside of the florets turn orange-red with age. MICHIGAN FLORA ONLINE. A. A. Reznicek, E. G. Voss, & B. S. Walters. February 2011. University of Michigan. Web. 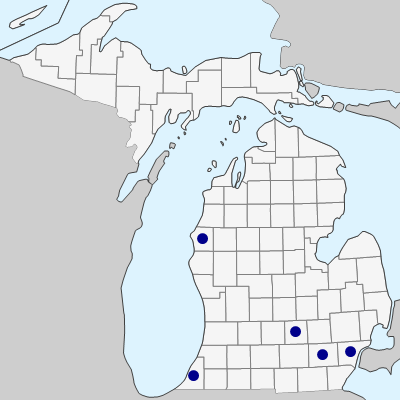 April 19, 2019. https://michiganflora.net/species.aspx?id=423.